Yesterday, the ministry of economic affairs announced in Kuensel that today, 15th March, is World Consumer Rights Day. And according to the announcement, the ministry of economic affairs has drafted the Consumer Protection Act which will be submitted to the Parliament soon. This is good news. Our government seems serious about promoting consumer welfare and protecting consumer rights. Yes, our rights, as consumers, need to be understood, respected and protected. So yes, a Consumer Protection Act may be required. But let’s first enforce the Tenancy Act. Let’s demand that our rights, as tenants, “are respected and protected.” And let’s protest the “market abuses and social injustices” which undermine these rights. If we can’t protect the rights of tenants, the government’s talk of protecting consumer rights will remain just that … talk. why do we want more and more acts to “ensure people’s rights”. The rights listed in DoT’s announcement are not really rights at all. If shopkeeper’s sell something that is harmful to the consumer knowingly, isn’t their enough provision in already existing laws to ensure that they be penalised? there doesn’t need to be quality regulation enforced by law because the consumers have a basic freedom….that of choice. If rthey do not like a particular shop, they can always go to another one. competition will always ensure that the best people survive. the government need not waste it’s resources on useless paperwork. Thanks for bringing up the issue of the tenancy act. Even though Kuensel wrote such a report, no action seems eminent. May i take this priviledge to agree upon your opinion. No matter what statutes are in place, if the implementation fails, then whole purpose is defeated. I can understand if the implementing agencies are ignorant of blatant violation of such laws. However, our democratic media has been playing an important role whereby it brought forth before the public as to how the Elite group of people have increased the House Rents despite the Hon’ble PM’s appeal. This shows that the concerned implementing agencies or authorities are entangled into the political net and hence enacting further laws would only confuse the public further. Sir, your point is very valid, but where to start? Di seems to have misunderstood – it’s not about a product being harmful and the choice of the consumer whether to buy or not – cigarettes or alcohol, or toilet cleaner if you intend to drink it – but when something is misrepresented – contamination in baby milk, out of date product, selling above MRP. So yes, the concept also includes the issues laid down in the Tenancy Act, such as the right to have sufficient notice of contract termination, limitations on increases in rent, obligations of landlord to rectify faults. But is this limited to Tenancy Act? Do we not also require Small Claims court where minor issues can be addressed without huge expense to the everyday man? Where tenants and landlord sign contracts automatically not just now and then? This reminds me of the topic raised before about Bhutan service culture – private and public sector. Where you walk into an office/ shop wanting a service – to buy something/ pay a bill/ process and application and the staff are late returning from lunch/constantly absent/incapable /uninterested/ rude. Does this also not link in to the issue? 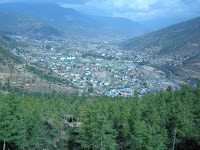 Unfortunately some friends of mine a suffering from the vagaries of renting accommodation in Wangdue right now. With the distant promise of an influx of Punatsangchu workers, landlords are evicting longtime tenants and raising rents such that people already living and working in the area are having to move to Lobeysa and beyond. This is all very well if you have transport but if you don’t? Even houses now being built in Bajothang already seem to be saved for this workers and locals can’t find a basic room to stay in.